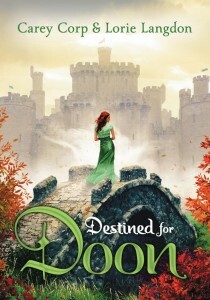 In case you missed it, we recently had the honor of revealing the cover for Doon sequel, Destined for Doon! You can find all you need to know before checking out our interview with the two fabulous authors of the series, here! First and foremost, thanks so much for joining us, ladies! We loved getting to reveal the cover for Destined for Doon last week! Doon’s ending was totally wicked, and just about drove me over a cliff. What made you two decide to end it the way you did? LL: Well… the original manuscript had a slightly different ending. We wanted to give both girls their (HEA) Happily-Ever-After, so Kenna and Duncan worked things out in the epilogue. But our brilliant agent convinced us to focus the first book on Veronica and Jamie’s story and the second on Mackenna and Duncan. With Kenna and Duncan’s story unresolved, we hope readers will clamor for the sequel! In the sequel, how do you find the girls maturing? And, if at all, do you find yourself maturing through their characters? CC: Both girls are more definitely mature in the second book. Vee now finds herself in a position that she’s not prepared for and a royal boyfriend who’s been groomed since birth to lead. It’s a challenging dynamic balancing the person she has to be with the person she wants to be. And poor Kenna embodies the sadder-but-wiser heroine. She’s made a terrible mistake and has a lot to atone for. But her biggest challenge is not letting her mistakes define and limit her. How did the idea to write a Brigadoon spinoff come to you guys? And what made you decide to work on it together? What’s the story to how you two came across each other? 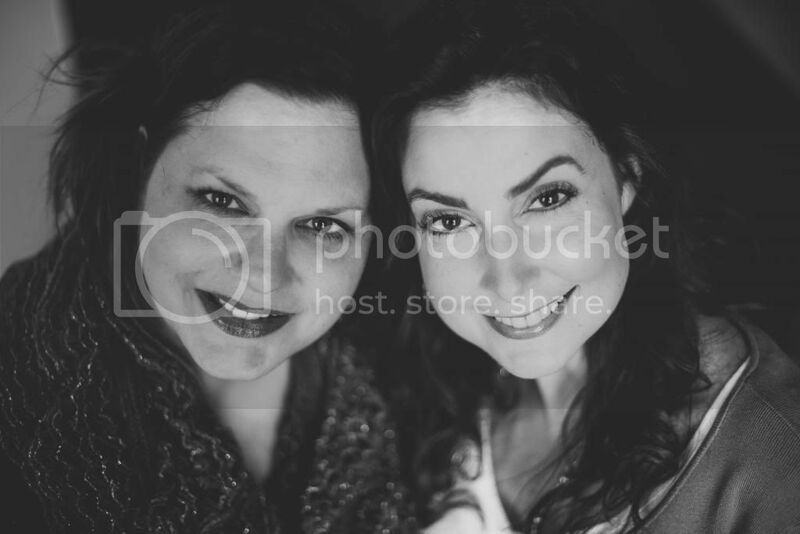 Carey and I had just finished editing our respective solo projects and were discussing what we each wanted to write next, when I mentioned my idea of doing a retelling of Brigadoon. Coincidentally, Carey had just completed her second young adult novel, so I was picking her brain on voice and technique when somewhere along the way our conversation took a detour. Our ideas for the mythical kingdom of Doon sparked an explosion of evil witches, magic spells, daring adventures, two unique best friends, and heroic princes in kilts … soon it became clear that this story was bigger than the both of us, but that together we could make it amazing. So we jumped in with both feet and DOON was born! What really helps to inspire writing about the Dooniverse? And is there any truth in the tale for either of you? Either from the play or from your own writings? CC: In my own life, sadly no. However, I’m part history buff, part romantic. One of the TV shows that really inspires me is Secret Princes, where royalty pose as monetarily challenged Europeans in some large US city for the sake of finding true love. There’s something terribly heroic about a guy showing the world his vulnerable side. I’m totally addicted!!! LL: Many things inspire the Dooniverse. In my head it’s an actual place, but little things I read or see will sometimes remind me of Doon. Like a recent Christmas ad I saw that was rustic and beautifully magical all at once, with fir garlands, red-plaid bows, candles in globes and glittering glass animal ornaments. As soon as I saw it, I knew it was how the village of Doon would be decorated for the holidays! In light of the holidays, I’ve decided to add in a few funner questions! Worst gift ever? Go! CC: My late father-in-law was an epic gift giver. I think he wrapped all his presents and then arbitrarily wrote names on them. You never knew what you would get—a man’s Cardinals jacket (we’re not remotely close to St. Louis), a Shirley Temple VHS tape, or a Nintendo 64 game (we have a PS3!). The only guarantee was you would get either Candy Land or Chutes and Ladders every year. Don’t ask me how many of each I have in our game closet! LL: Hot chocolate!!!! I got sick on eggnog once and I will never touch the stuff again! CC: White hot chocolate with whipped cream, hold the marshmallows. LL: When I was a teen and I’d finished reading all the Judy Blume and S.E. Hinton books I could get my hands on, I began to sneak and read my Mom’s historical romance novels. I occasionally still enjoy a good Regency romance story. Julia Quinn is my favorite! CC: V.C. Andrews, especially the Flowers in the Attic series. Every time I see the ad for upcoming Flowers in the Attic TV movie I feel shocked and horrified and riveted all over again. And yes, I’m going to DVR it. Carey, I hear you’re a fan of Star Wars. Maybe you and I should write a companion series together, haha! What can you tell us about that first ever fictional Star Wars piece you wrote? And Lorie, what can you tell us about your alleged fairy tale obsession? CC: You could say I’m a fan. My phone wookiee growls every time I get a text. I’m very proud of my Star Wars fan fiction! I wrote it when I was seven and luckily my mom saved it. A couple of years ago I blogged about it in a post entitled: Lucas-schmookas! I wrote Star Wars. The post has the entire original work and a much more recent commentary. In my other series, The Halo Chronicles, I have a Star Wars obsessed boy—that is to say he’s the perfect boy IMHO. LL: Well, like many people, my childhood was less than ideal. So I gravitated towards stories that swept me away to a different time and place. It started with Disney fairytales. Every one of those princesses overcame immense obstacles with courage and aplomb to find their HEA and win the heart of their chosen royal hottie—with not so much as a hair out of place! So, as a kid I was always running around in princess dresses and tiaras, but in my mind I was preparing to fight dragons! CC: Lorie and I are both Once Upon a Time fans, too. We love how the stories you think you know get turned inside out and how every character is deeper than they first appear. Everyone is capable of good and bad. It’s how they overcome their mistakes and grow that defines them. That’s very similar to our Dooniverse. 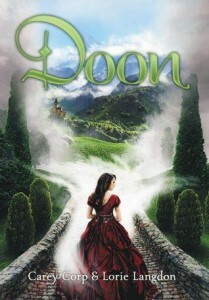 And for anyone behind on the fad, did we mention that BLINK has the Doon ebook on sale for $1.99 through the New Year? Happy Reading!! !